Anyone who knows anything at all about the betting industry is familiar with Paddy Power. This Irish brand is one of the biggest names in the gambling game and has gained an international reputation for hosting exciting games and events and for being the ‘punter friendly bookmaker’. This friendly motto extends all across the company, from their high street bookies to their very own online casino. At Paddy Power Casino you’ll find some of the best live customer support around as well as a whole host of great games from developers as reputable as IGT, Playtech and Blueprint Gaming to name just a few. 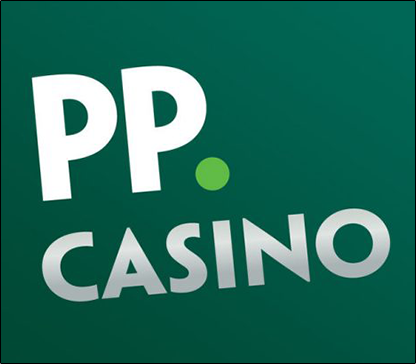 As you would imagine from a beloved brand like Paddy Power, the appearance of this casino is completely slick and easy to navigate. The colour scheme is, of course, overwhelmingly green to fit in with the Emerald Isle heritage of the site. Clear titles labelling the different gaming categories can be seen in a green panel at the top of the screen along with promotions, bonuses, contact details and information on responsible gaming. There are more than 200 casino games to enjoy at Paddy Power Casino. These games are a good mix of live and virtual, provided by a high quality selection of popular developers. The majority of these games are slots, including some based on famous film and comic book franchises such as the Incredible Hulk, Iron Man and Gladiator. In addition to these well-loved options, Paddy Power also has the unique advantage of hosting its very own slots. Fans of casino classics will be particularly impressed with the traditional table games on offer at Paddy Power. There are many different variations of Roulette, Blackjack and Baccarat in addition to different types of Craps, Sic Bo, Casino Hold ‘Em and Red Dog. If video poker is more your thing, you’re sure to find a form of the game to suit your taste, whether it’s Jacks or Better, Aces and Faces, Deuces Wild, Joker Poker or something else. Paddy Power Casino makes it extremely easy for players all around the world to deposit and withdraw their funds. A large amount of banking methods are accepted at the site including bank transfers, most major debit and credit card companies and E-wallet and pre-paid card services such as Paypal, Neteller and Skrill. These electronic forms of payment are extremely popular with online gamblers as they are convenient, quick and don’t require players to submit personal banking info to the site. Withdrawals are notably fast, rarely taking more than a few working days. The minimum withdrawal is £10 and the maximum is £3000.